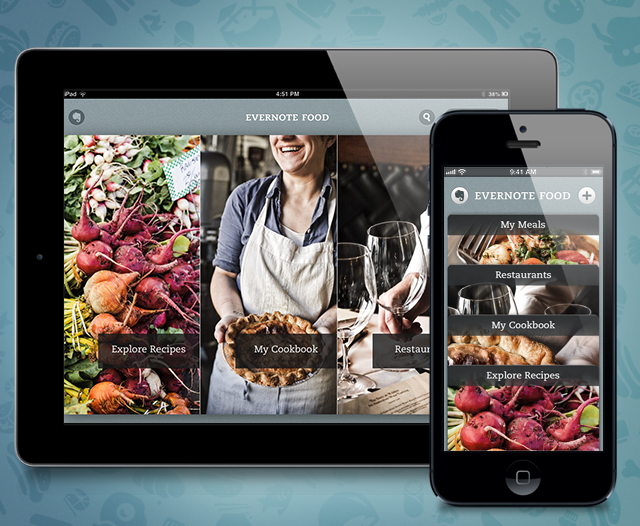 Evernote has released a huge 2.0 update to its Evernote Food iOS app, bringing the service to the iPad and also adding a bunch of new features, such as new cookbook and recipe tabs. When I’m not writing about tech, I like to squeeze in some food writing on the side. Evernote’s Food app has turned out to be an valuable resource in giving me instant access to meals, photos and notes I need when getting ready to do the writing. However, features on the app were pretty limited, and I imagine it was tough convincing most people to add it into their busy lives. The App Store says it’s received only 637 ratings across all versions, so that would seem to be the case. With the new tabs, Evernote is aiming to make the software more useful to the average person. 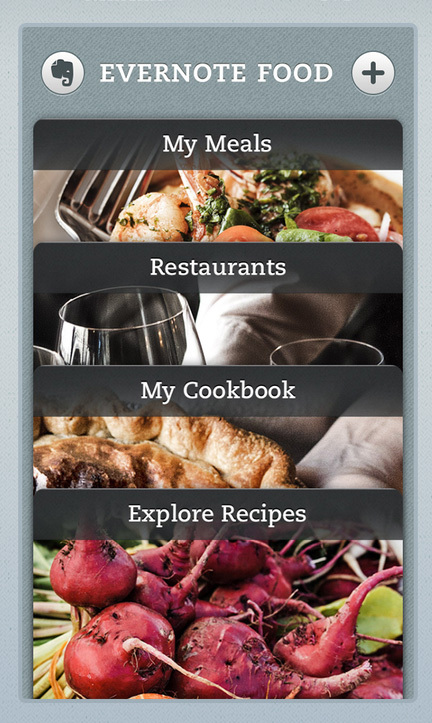 In addition to the original solo “My Meals” tab, a new “Explore Recipes” tab has been added to help cooks track down recipes to make, a “My Cookbook” tab stores saved recipes for later and “Restaurants” lets users search for and bookmark eateries around the world. The company’s thinking with the app is to back up from just the final presentation and experience of the meal and track with users as they’re discovering new places to eat, learning new dishes and making them. 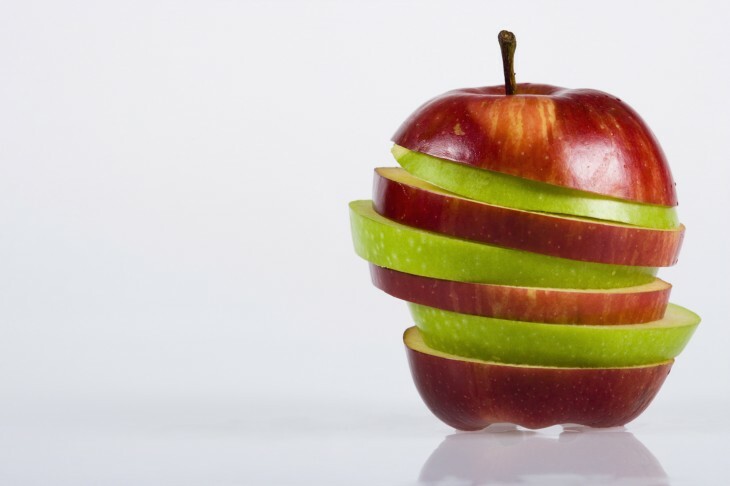 Lots of loyal Evernote users probably already use the main service to store their recipes, so it’s possible they’ll switch over to using the Food app’s specialized interface. 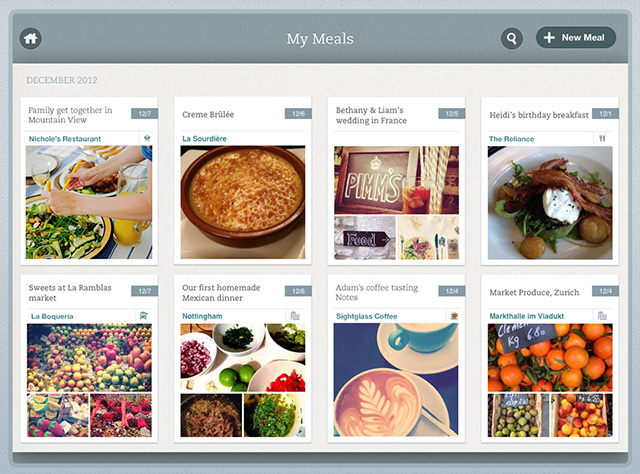 The company says it will automatically parse out recipes in your account and add them to the “My Recipes” tab. The new version is available today on iOS, and Evernote says it’s also planning an updated version for Android. CEO Phil Libin touts Evernote as “the fastest growing company ever in terms of new users, that’s not growing virally or paying for new customers.” The company set out for slow growth, with the aim of being a 100-year company, but it’s also begun to pick up steam. In November, it closed an $85 million round in primary and secondary financing. All told, it has roughly 45 million users around the world.